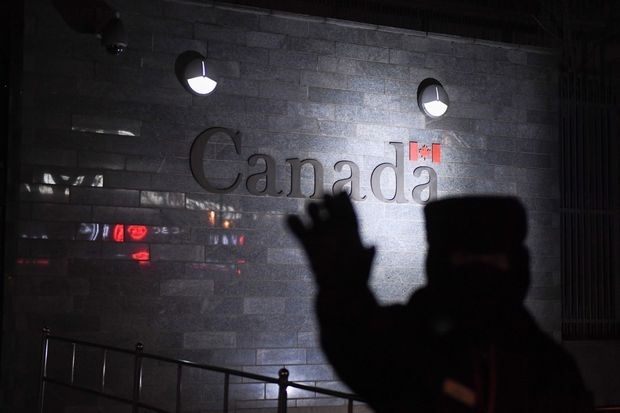 A guard tries to block photos being taken as he patrols outside the Canadian embassy in Beijing on Jan. 14, 2019. Nobody likes a bully. They’re mean, unpredictable and self-centred, they’re quick to take offence, and they make for lousy friends. Just ask Canada. Ever since the 2016 election of U.S. President Donald Trump, our little middle power of a country has had to deal with more than its fair share of big, nasty kids on the block. The latest browbeating is being delivered by China in its calculated overreaction to the arrest in Vancouver of a member of its business elite. The display of dominance follows the earlier strong-arm tactics behind Mr. Trump’s threats to tear up the North American free-trade agreement, impose steep tariffs and damage Canada’s economy. Through all of this, Ottawa has adopted the only position available to a smaller country being pushed around by the biggest kid in the schoolyard: It has avoided an all-out brawl and has instead fought back with strategic retaliation, back-channel diplomacy, appeals for support from like-minded allies and a stubborn insistence on respect for internationally established rules and norms. People can disagree on the outcomes, such as whether Ottawa got the best possible terms in the new United States-Mexico-Canada Agreement, but it is impossible to argue that there is another credible tactic for a middle power facing down two very different international bullies. With Mr. Trump and his threat to tear up NAFTA, the Trudeau government didn’t get angry. It got to work, meeting with its many allies in the United States – in the business community, in Congress and in state legislatures and cities where millions of voters depend on trade with Canada for their livelihoods. It sent emissaries such as former prime minister Brian Mulroney to work the backrooms of power. It tried to work with Mexico on establishing shared goals. It calmly stuck to its position about the value of free trade in the face of the President’s many lies and exaggerations, and his personal attacks on the Prime Minister. The strategy was helped by the fact the United States is not only our closest ally, but also a democracy. Mr. Trump is not the president-for-life of a totalitarian regime. He is subject to public pressure and has to work with the other branches of the U.S. government. Which brings us to Canada’s latest and larger bullying challenge – namely, China’s all-powerful Communist dictatorship and its anger over the arrest, on an extradition request from the United States, of Meng Wanzhou. 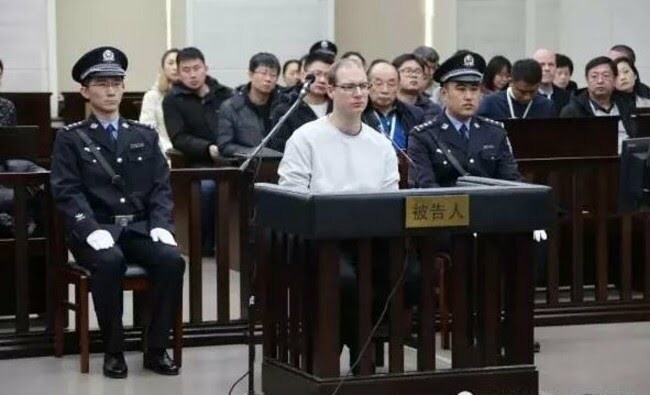 Beijing has responded by detaining two Canadians on spying charges, and by hauling out a Canadian man who had been imprisoned in China for drug smuggling, retrying him with no new evidence and sentencing him to death. Ottawa’s counterpunch has been to protest Beijing’s violation of international diplomatic and legal norms, and its arbitrary use of capital punishment to settle a dispute. Officials have reached out through back channels to try to calm the issue, and Foreign Minister Chrystia Freeland has appealed for clemency for Robert Schellenberg, the man facing a death sentence. As well, Ottawa has called on allies to condemn the detentions. The United States and a number of other Western allies have responded, much to the consternation of the Chinese government. Some critics are saying Ottawa could have saved itself a lot of trouble by somehow interfering with the extradition request, perhaps by quietly warning Ms. Meng to avoid flying through Vancouver, where she was arrested at the airport. 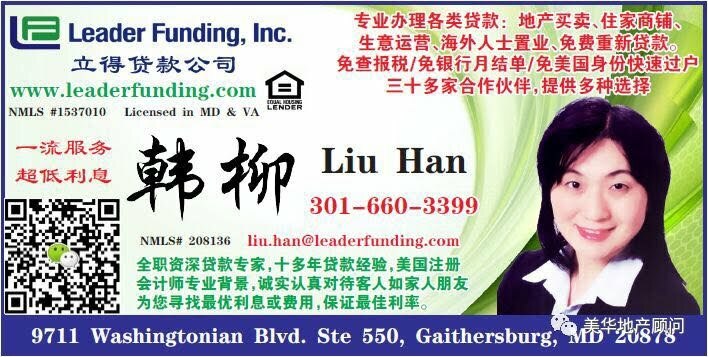 But bending our extradition treaty with the United States, in an bid to avoid becoming a target of Beijing, would have violated the principles that are the best and only resort of the schoolyard’s smaller kids. Canada’s strength as a middle power will always lie in its respect for international treaties and laws, and in its ability to rally allies to its side. Instead of placating bullies, build coalitions and rules against them. These days, the world appears to be heading in two directions at once: one in which China and the United States compete for economic dominance, and another in which populism is on the rise and old alliances are shifting. Canada’s defence of traditional forms of diplomacy, as well as of the rule of law, will be especially critical. It’s not just Canada that will have to rely on international co-operation to get by; every other small- to medium-sized country will suffer if the superpowers can push others around, with no one willing to stand united against them.